Starting a return-to-work program with ergonomics can mean success for everyone involved. Want to get a valuable employee back to work sooner? Just add a little ergonomics. That’s the advice of field experts, insurance companies and former injured workers who’ve experienced the benefits of incorporating ergonomics into return-to-work programs. For the employer, returning an employee to work following an injury serves multiple purposes: retaining a trained and knowledgeable employee; lower worker’s compensation disability payouts; and displaying a commitment to the wellbeing of the entire workplace. To be truly effective, though, any return-to-work program has to start with ergonomics. According to Sheryl Ulin, Ph. D., CPE, Senior Research Associate Engineer at The University of Michigan’s Center for Ergonomics, applying ergonomics principals to return-to-work can help the injured worker return to a more productive state more quickly. The key, she says, is starting with an analysis that takes into account both worker and workplace. “[Look at] where can we effectively use this person, how do we make the match between worker’s ability and the job requirements? If the company takes the approach that we will find work, then it’s basically finding a match between the worker’s ability and the job requirements,” says Ulin. Ulin’s experience shows that a successful return-to-work program incorporates worker, doctor and ergonomist. “If the medical professional writes specific restrictions, we may be able to look at other available positions and determine that [a different job] doesn’t have the [restricted] work-related risk factors,” she says. Even in situations where returning the worker to his or her former position is impractical, “we can still accommodate the worker,” says Ulin. CIGNA’s Chief Medical Officer, Dr. Barton Margoshes, agrees. “In terms of chronic conditions, ergonomics is most amenable,” he says. “Low back pain can be a chronic relapsing condition. There are various ways of working with chronic conditions — medical management, employee education, and appropriate treatments and interventions — to help minimize the risk of going out on disability from low back pain. Among the best interventions are ergonomic interventions. [They] can also help people transition back to work,” says Margoshes. Margoshes likes to try to get an injured worker back into his or her old job if at all possible. To do this, ergonomics is not only the key to workspace assessment, it also becomes an important factor in redesigning the workspace. “It’s not so easy to put people into another job,” says Margoshes. “In our case management, we do everything we can to help individuals return to their old jobs at their same employer. Unfortunately employers on their own don’t always think about how to modify the workplace ergonomically. We work with employer and employee to try to figure out how to adapt the workplace to make it fit,” he says. 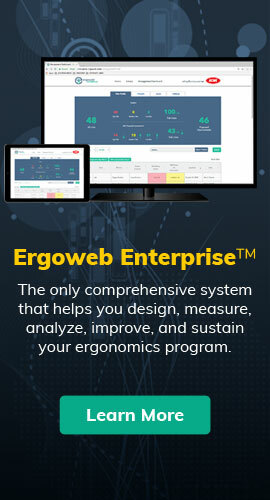 For more information on the crucial role ergonomics plays in any successful return-to-work program, plus advice and first-hand experience on incorporating ergonomics into disability management, see the May, 2004 issue of The Ergonomics Report.